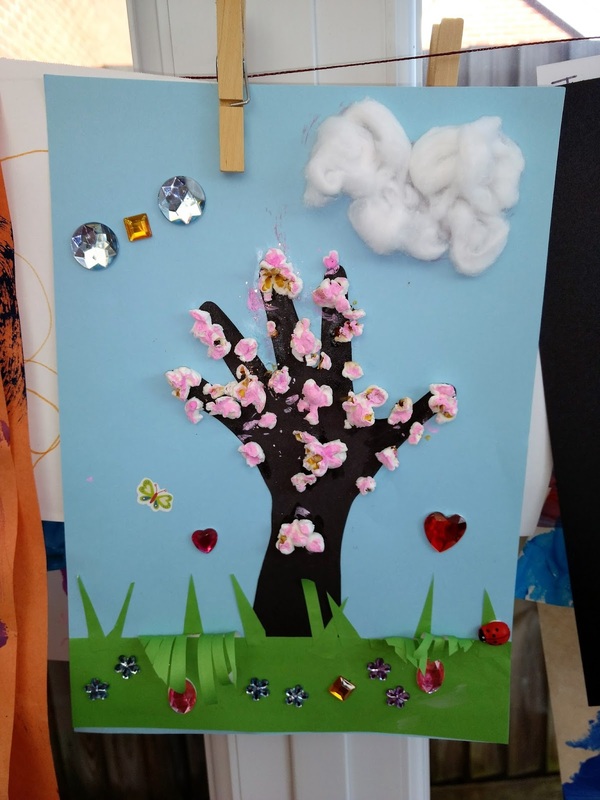 The ornamental cherry tree in our garden has started blossoming this week, which inspired us to get crafting. We love creating mixed media pictures; this one uses popcorn as cherry blossom, cotton wool as clouds and we also used crystals and stickers as decorations. Jess practiced her scissor skills, we used her handprint as the tree (would you believe that I've run out of brown paper?!) and she chose to paint the popcorn pink. I love it! Cardboard Tubes, Yoghurt Pots & Lots of Tape!